Elan Cardiff by the Sea Apartment Homes for rent in Encinitas, CA is a beautiful coastal beach town community that boasts 28 acres of lush landscaping, warm sunny weather, resort style living, breathtaking views, and lovely residents who take pride in their community. Bordering Solana Beach to the south, Cardiff is a popular visitor destination. The contrast of beachside living with a traditional neighborhood feel makes our community a distinctive and desirable place to live. The gated community has private balconies or enclosed patios, washer/dryer, built-in microwave oven, tennis courts, two sparkling swimming pools and relaxing spas, two hi-tech fitness centers, a basketball court, corporate-style business center, covered parking, courtesy patrol, and friendly on-site Staff with full-time emergency Maintenance to meet all your maintenance needs. Tennis lessons are a perk offered to residents as well! Elan Cardiff by the Sea welcomes cats; please see our pet policy as some restrictions may apply. We are conveniently located west of Interstate 5 and located within walking distance to world-class beaches, coastal shopping, and restaurants. The community showcases an arts community, yoga studios, ocean sports, and a linear organic community park with plenty of biking opportunities. Surf lovers will find themselves at home with Cardiff Reef, a very popular beach park and surf spot in Cardiff. Lastly, the community is nearby the new Encinitas Community Park, a 44-acre recreational area featuring multi-use sports fields, a huge skate park, and jungle gym set. This is Southern California coastal living at its best! 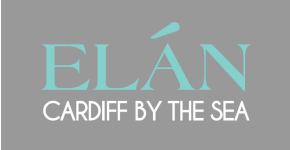 Come to Elan Cardiff by the Sea and experience unmatched exceptional living!